Home » Principia Discordia » Confessions of A Cult Leader: My Lifestream Seminar Experience » Confessions of a Cult Leader or How I learned to get the best of life running a personal development seminar company. From 1987 to 1998, I worked with James (Jim) H. Quinn (1927-1998), the founder and creator of the experiential training program: The LifeStream Basic Seminar. Jim's motto, "My life works in direct proportion to the commitments I make and keep", was his mantra for personal success. In October of 1987, I enrolled into The Lifestream Basic Seminar which was held in Toronto, Ontario. Basic was conducted over 4 days; Thursday night, Friday night, all day Saturday and all day Sunday. In Basic, I learned how to get the best of life by experiencing and reflecting on various concepts such as trust, forgiveness, responsibility, win/win, intentions equals results, and accountability. I liked the program so much I bought the company in Toronto and by 1997 I had expanded to 5 city centers which included, Toronto Ontario, Ottawa Ontario, Vancouver BC, Columbus Ohio, and Jacksonsville Florida. Over a period of 11 years, I scheduled, planned, and organized more than 200 Lifestream programs and events. During my years running Lifestream, I experienced many variations of the human equation - people from all walks of life who taught me how complex people really are, as well as, how much we are all very much alike. I was often asked if Lifestream was a cult. This was due primarily to some of the dramatic changes people would make as result of experiencing this 32 hour seminar - this often threatened people who had not taken the course, didn't understand it and we're being highly encouraged by the recent graduate to take it. Many people would finish the course and go back into their lives to make extraordinary changes that were very positive in nature. But, many would keep coming back to the class, looking to rekindle that initial "warm and fuzzy" feeling they got when the took the class for the first time. As a result, many graduates kept in touch with one another forming a "Lifestream alumni community" that at the best of times was fun and celebratory but at the worst of times was incestuous, wrought with "needy" dysfunctional attitudes and behaviours. It is in this vein, that I have written this series of articles as "Confessions of a Cult Leader" because most of time I did not feel like I was the CEO of a personal development company but rather a cult leader for the Lifestream Alumni. I will state for the record, working with LifeStream founder, Jim Quinn, has been a highlight in my life. His points-of-view, teachings, skills and techniques for living life have been a tremendous inspiration to me. He was truly a "centered man". Very little "ruffled" his feathers and in the 11 years that I knew him, I never saw him lose his "center". He was the "real McCoy". That's why I've decided to publish my experience of the 4 days of the LifeStream Basic Seminar, as taught by Jim Quinn, for those who care to read it, know it and perhaps even experience it. Note: It is important to remember that the LifeStream experience was conducted in a large group setting (30 - 100 participants, depending on the size of the class). I have modified the material presented from group inter-active experiences to self-introspective exercises for the benefit of the reader - CF. James H. Quinn was born in Washington state and served in the U.S. Corps of Cryptographers in China durning World War II. He worked in sales for JC Penney Inc. in Los Angeles and opened a clothing store in California. In 1973, he founded LifeStream, an experiential training seminar company and right up until his death in 1998 he introduced to tens of thousands of people all over the world, how to get the best of life. The roots of Lifestream and the experiential seminar movement goes back to the late 1960's and a course called, Mind Dynamics founded by Alexander Everett. Mind Dynamics was the major forerunnner of most of the Large Group Awareness Trainings. Born in England, Alexander Everett (1921-2005) arrived in America in 1962 and went to Missouri. "Deciding that the Unity ministry was not his calling, he (Alexander Everett) left Missouri in 1963 and went to Fort Worth, Texas, where he had been invited to help establish a private boarding school. He remained in Texas for seven years. In Texas, he not only helped set up the Fort Worth Country Day School but more importantly, completed the work that led to the founding in 1968 of Mind Dynamics, the experiential human potential training organization that was to become the forerunner of est, Lifespring, Actualizations, and several other human potential training organizations that flourished in the 1970s and continue to do so in the 80s. Alexander's Mind Dynamics grew out of the various paths of spiritual and personal growth that he had been exploring since leaving England. He lists, as the primary influences, Edgar Cayce's work, Theosophy, Rosicrucianism, Egyptology, Silva Mind Control, and Unity. He knew when he put the Mind Dynamics course together that, primarily, he wanted to develop a training that dealt with the workings of the mind, and secondly, since we live in the Aquarian Age, a mind sign, that he wanted to have the word "mind" in the organization's name. The four-day trainings, which were largely experiential, caught on rapidly in California, where Alexander was soon being invited to present them. As a result the headquarters of Mind Dynamics was moved to San Francisco in 1970. Interest in the course, however, was not restricted to California. During the four remaining years of the organization's existence, the course was taught throughout the United States and in Europe and Australia. Continuing his quest for knowledge, Everett journeyed in 1974 to Russia and India to study and experience Eastern philosophy and religion. Returning from his travels, he began teaching Success Dynamics. In 1977, he created and started teaching Inward Bound, an activity that occupies most of his time to this day. Everett's Inward Bound two-day seminar is devoted to helping attendees enjoy personal growth and discover the genius within then. Everett also presents his Love, Life and Light program annually. In 1989, attendees from 16 countries participated in his Orcas Island presentation. Mind Dynamics was a huge success and attracted William Penn Patrick's attention. He had a network marketing sales organization called Holiday Magic, which sold cosmetics. He also had a training organization known as Leadership Dynamics. He bought Everett's training in 1970 intending to use it as an additional training vehicle for his distributors. While Mind Dynamics was a non-confrontational course in self-hypnosis, centering, visualization like the Silva Method, the Leadership Dynamics program was a hard hitting group encounter. The influences of both trainings are found in the training organizations which followed. William Penn Patrick's Leadership Dynamics training organization attracted much attention in its methods according to a book called "The Pit, a group encounter defiled" by Gene Church (out of print). The resulting lawsuits pretty much shut down Leadership Dynamics as well as Mind Dynamics. The Holiday Magic MLM was busted as a pyramid scheme. Penn Patrick died when he crashed and destroyed his P-51D (N2872D) Mustang during a low pass near his 1100 acre farm at Clear Lake, California on June 9, 1973. Werner Erhard, founded est in 1971 which was renamed "The Forum" and is now known as Landmark Education. 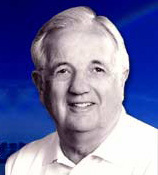 Jim Quinn founded Lifestream in 1973. Bob White, Randy Revell, Charlene Afremow, John Hanley founded Lifespring in 1974. Bob White left Lifespring, went to Japan, and started a training organization there called Life Dynamics. Randy Revell left Lifespring and founded the Context Trainings. Charlene Afremow joined Erhard's organization as a trainer. She later left in a dispute and went back to Lifespring. Howard Nease founded Personal Dynamics. Thomas Willhite founded PSI World Seminars. Stewart Emery worked for est and later founded Actualizations. Other influences on LGAT development include Napoleon Hill's "Think and Grow Rich", the experiential exercises developed by National Training Labs (which has its own share of controversy), the Esalen Institute, Gestalt Therapy and the "Father of the Personal Development Movement" and original source of content for these seminars and courses, books, and tape sets--Charles Haanel - the father of the human potential movement. Article: Day 1 of the Lifestream Basic Seminar - Why are you here?